Labels will usually be dispatched within 3 days. We cannot wrap up your gifts, but we take the hard work out of labelling all of the gifts from you know who. Secret Santa personalised gift labels will save your hours at one of the busiest times of the year. No more worrying about kids recognising your handwriting on the present from the North Pole. Simply peel and stick and everyone will instantly know who the gift belongs to. Just remember to use a different wrapping paper for the Santa's gifts! 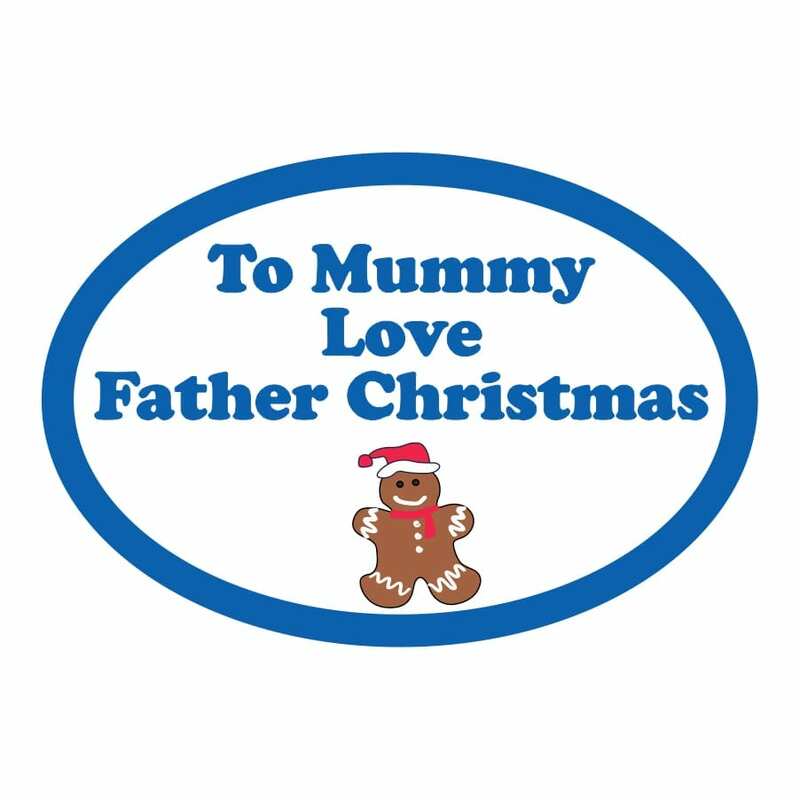 Secret Santa personalised gifts labels come in a choice of background colours and will feature your child's name and who the present is from - choose from Father Christmas or Santa. Print will be as show on the image and in your chosen sticker colour. Name it Labels are a Somerset based business designing and printing high quality personalised labels and gifts for children and adults.